Special Olympics Team Ulster footballers and coaches with former Northern Ireland and Manchester United footballer, Keith Gillespie (centre) at a recent training session in the Antrim Forum. 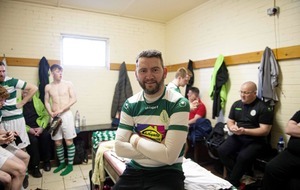 Former Northern Ireland and Manchester United footballer Keith Gillespie surprised Special Olympics Ulster athletes at a recent training session in the Antrim Forum. 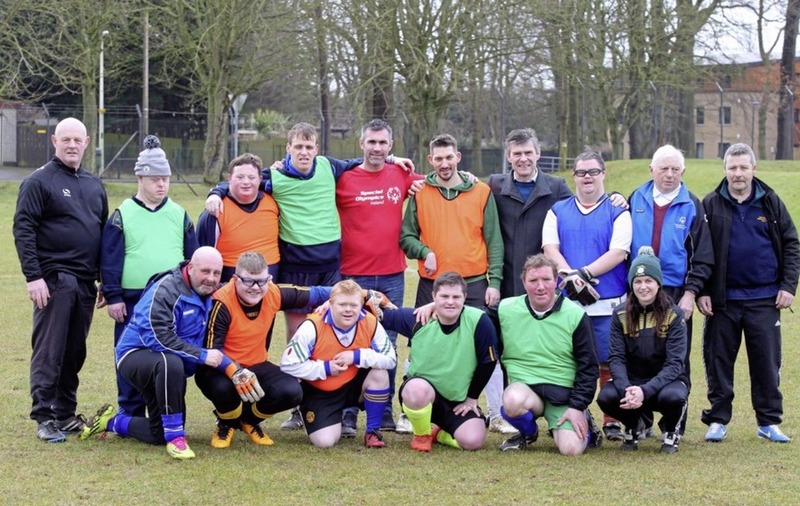 Keith joined members of the Team Ulster football teams as they prepare to compete on a national stage at the Special Olympics Ireland Games, which take place in Dublin from June 14 to 17 2018. A total of 36 Team Ulster footballers across three squads will participate in the Ireland Games this year, which is set to be one of the largest and most prestigious sporting events to take place in Ireland in 2018. A total of 277 Team Ulster athletes will be amongst the 1,600 Special Olympics athletes from across the island of Ireland that will travel to compete at the Games this year. Selected athletes from these Games will go on to represent Team Ireland at the 2019 Special Olympics World Games in Abu Dhabi. Speaking at the training session, Keith said: “It was fantastic to meet the Team Ulster footballers and their families today and to hear all their amazing stories and get the chance to take part in their training session. “Their passion, excitement and enthusiasm is so inspiring. As training ramps up in preparation for the Ireland Games, the pressure is on, but they are geared up and ready to go; I have no doubt they will do Ulster proud. 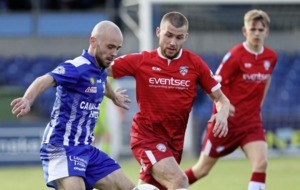 Shaun Cassidy, regional director, Special Olympics Ulster added: “To have a Northern Irish sports star like Keith supporting Team Ulster is such a thrill for our athletes as they make their preparations for these important Games. Special Olympics Ulster will host its annual Collection Day on Friday April 20, which is sponsored by eir. •	Special Olympics is a charity that provides year-round sports training to athletes with intellectual disabilities. •	Special Olympics was established in Ulster in 1978. •	Special Olympics Ulster is a year-round sports training organisation and is supported by Sport Northern Ireland. •	The overall cost of hosting is €2.335m.